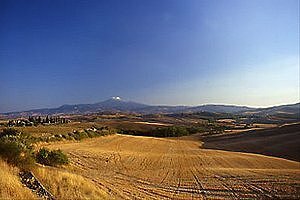 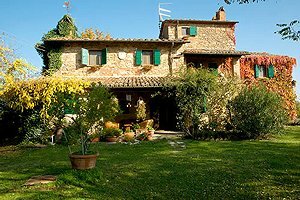 Spending a holiday in Tuscany between May and September means choosing among the sea, the countryside and the many cities of art. 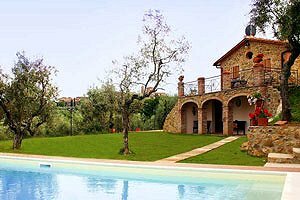 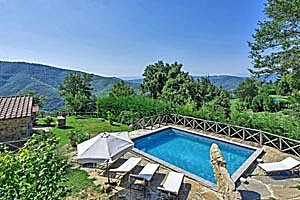 Indeed a villa with swimming pool in Tuscany allows you to visit some of the most important monuments and museums in the world without giving up the pleasure of a refreshing dip in the hottest hours of the day . 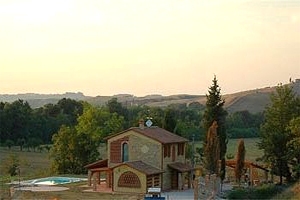 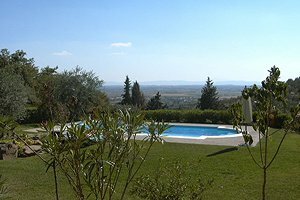 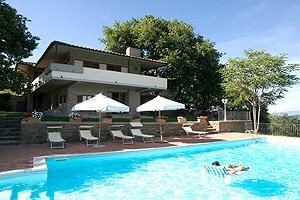 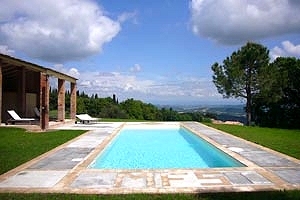 Many are the villas in Tuscany that give you the opportunity of spending your vacations ... by the swimming pool . 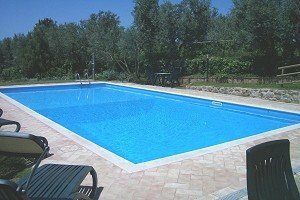 From those equipped with modern facilities, most of which featuring whirlpool systems and warm water, to those in which the swimming pool is the result of the conversion of ancient stone basins once used for collecting rainwater. 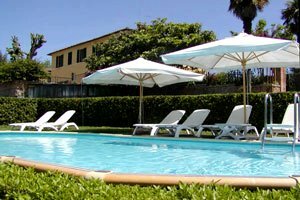 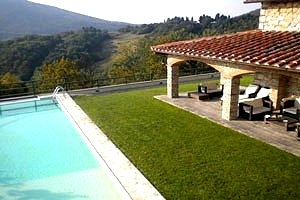 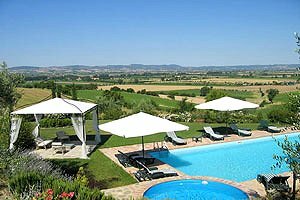 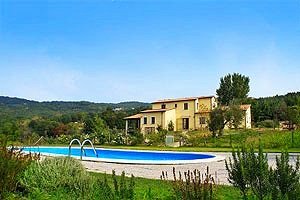 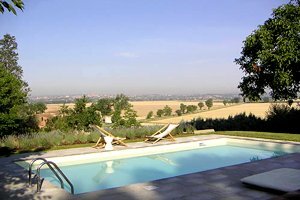 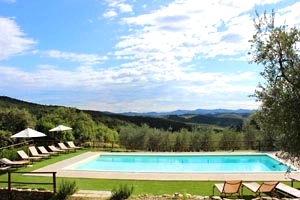 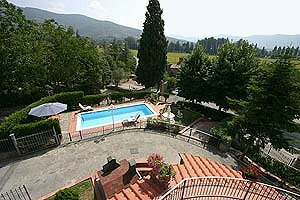 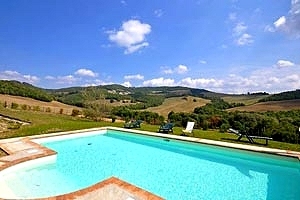 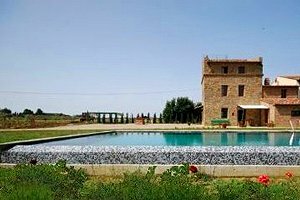 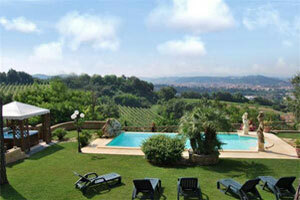 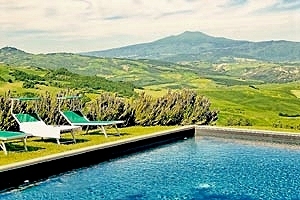 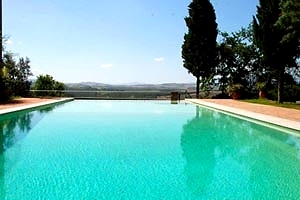 What are the reasons for choosing a villa in Tuscany with swimming pool ? 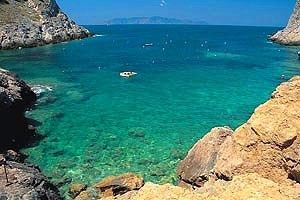 First of all, they are always far from the crowded beaches . 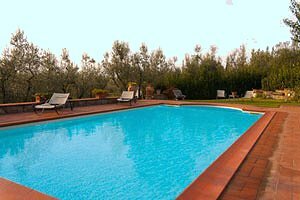 Moreover, unlike in hotels, the swimming pool is at your full disposal 24 hours a day. 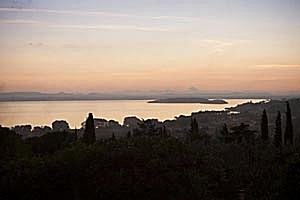 Second, you can enjoy romantic dinners in the candlelight by the water : the ideal location for celebrating the most important moments in your life and that of your nearest and dearest. 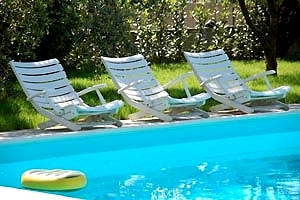 Last but not least, you can take care of your body even when you are on holiday. 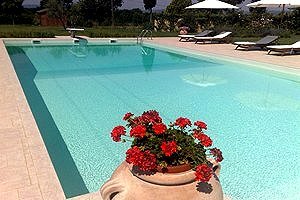 A few lengths every day and some trekking in town, at the discovery of its artistic and architectural beauties, or up and down the gentle Tuscan hills and you will be back home as fit as ever . 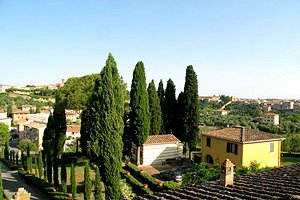 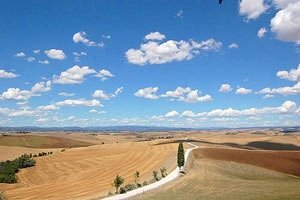 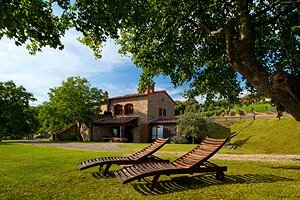 Here are some simple but inviting reasons for choosing to spend your next holidays in a villa in Tuscany . 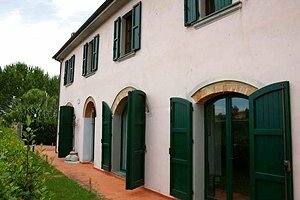 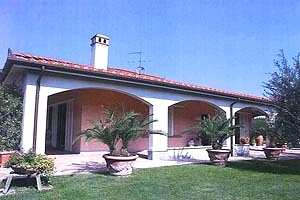 Villa with annex for rent in Chianni, in Valdera, near Pisa. 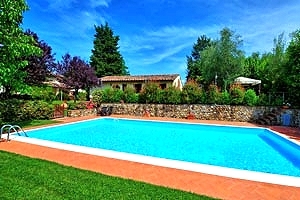 16/19 sleeping accommodations, fenced swimming pool, barbecue, hydromassage, children`s playground, private tennis court, Internet connection, bowl pitch. 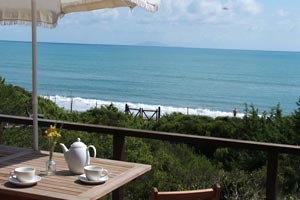 The villa is just a few kilometres from the sea. 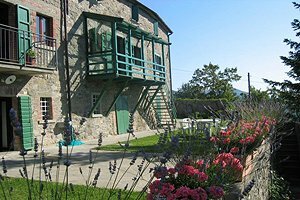 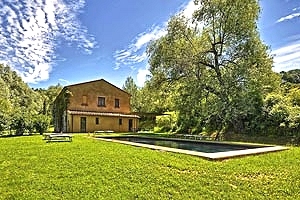 Former, recently renovated mill a few kilometres from Cortona (Arezzo), in Valdichiana. 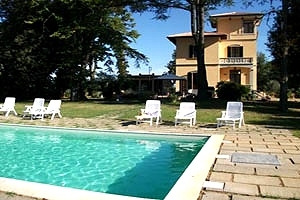 Sleeps 4, swimming pool, Internet connection. 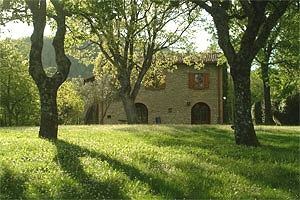 Ancient farmhouse in Arezzo countryside, near Terranuova Bracciolini. 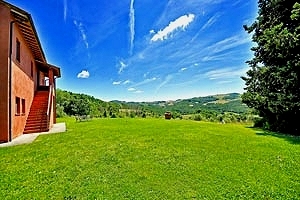 Sleeps 16, swimming pool, wide park, Internet connection, outdoor whirlpool bathtub. 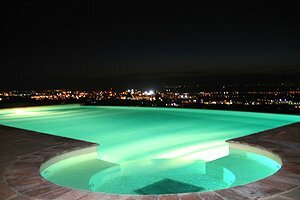 Convenient prices. 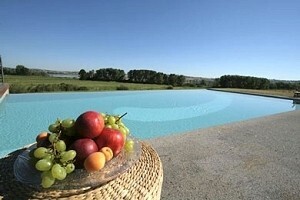 Possibility of organising cooking lessons and visits to nearby wineries and dairies. 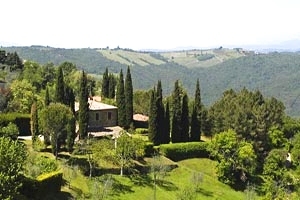 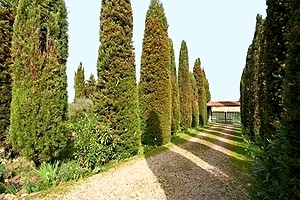 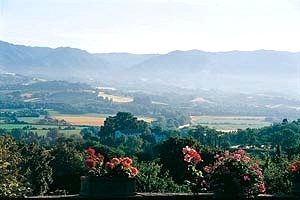 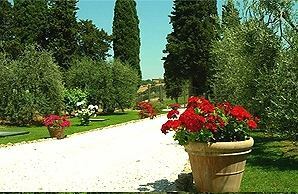 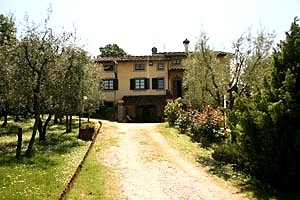 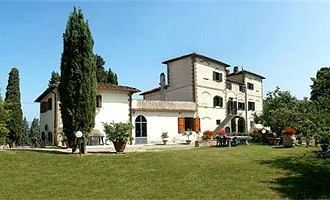 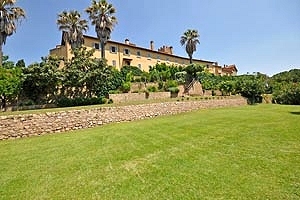 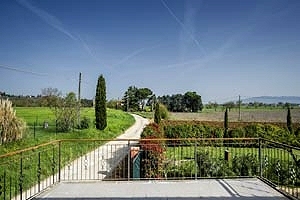 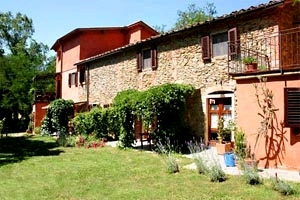 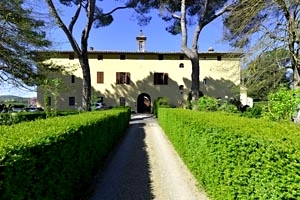 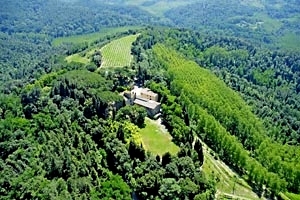 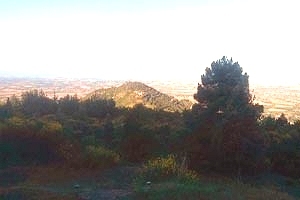 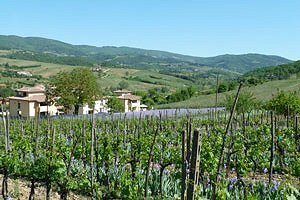 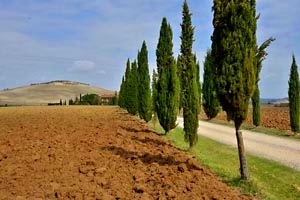 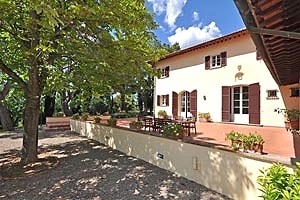 Beautiful property in scenery location on the hills south of Florence, in Florentine Chianti. 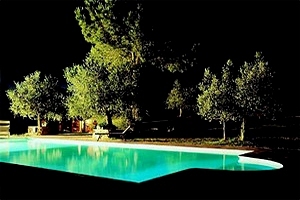 Sleeps 11, swimming pool, barbecue. 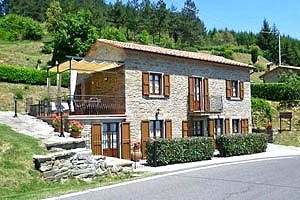 The property is divided into two apartments. 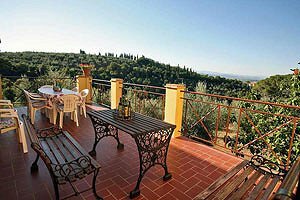 Ancient farmhouse with a splendid view over the countryside around Bagno a Ripoli, just 12 kilometres from Florence historic centre. 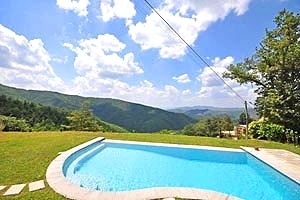 Sleeps 16, swimming pool, Internet connection, barbecue equipment. 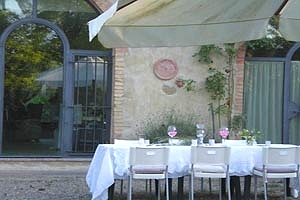 Possibility of organising cooking lessons and dinners with traditional Tuscan menu. 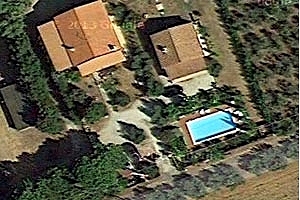 Golf club nearby. 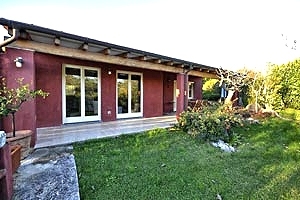 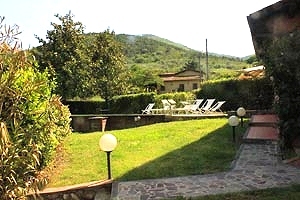 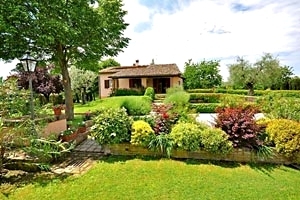 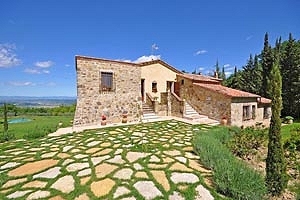 Comfortable independent house situated in a farm on the hills around Cortona (Arezzo), in Valdichiana. 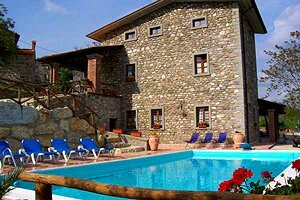 Sleeps 7, swimming pool, Internet connection. 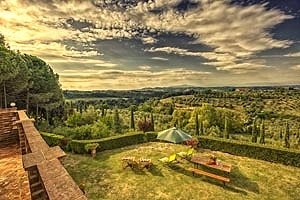 Beautiful view over the surrounding landscape. 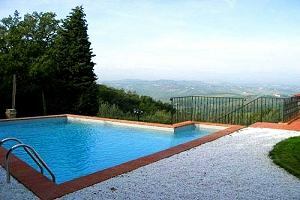 Holiday Tuscany villa for rent in the heart of the Chianti district, between Greve in Chianti and Panzano in Chianti. 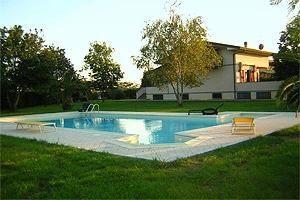 Sleeps 4+1, swimming pool, air conditioning system. 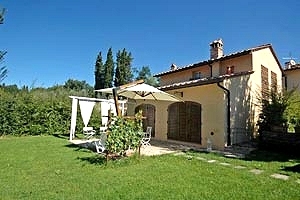 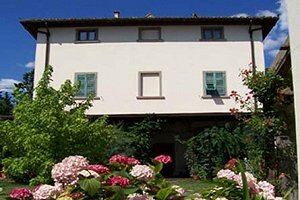 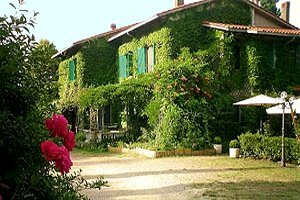 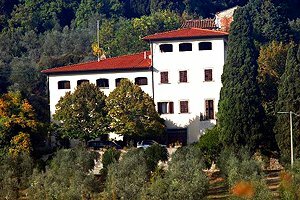 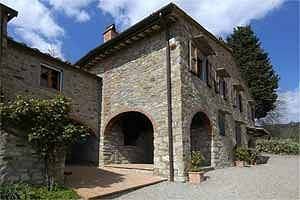 Beautiful independent house near Montespertoli, a few kilometres from Florence, in the Chianti region. 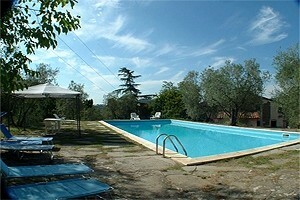 Sleeps 6, swimming pool, barbecue. 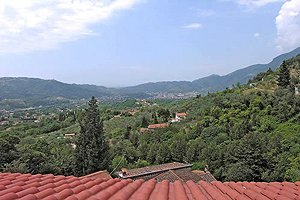 Beautiful view over the surrounding hills. 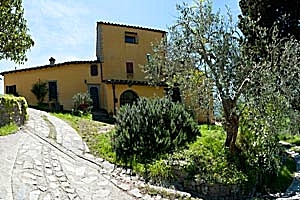 Independent house near Cortona (Arezzo), in Valdichiana. 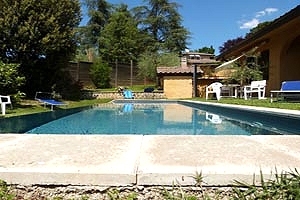 Sleeps 7, swimming pool, fully fenced property, Internet connection and barbecue. 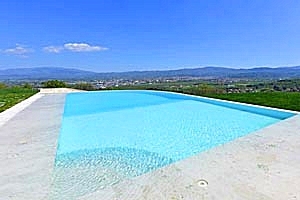 Wonderful views of the town of Cortona. 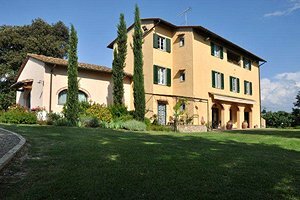 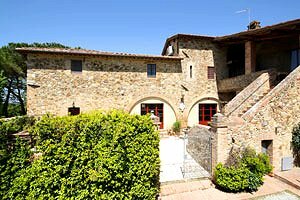 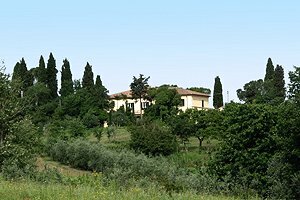 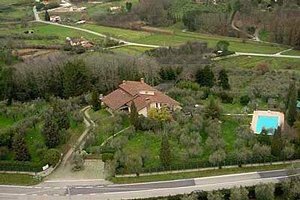 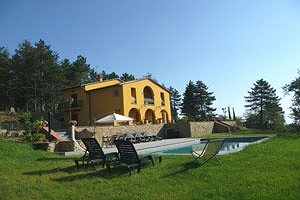 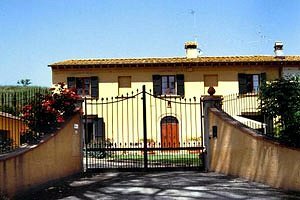 Large country house in scenery location on the hills of the Chianti Classico region, a few kilometres from Castellina in Chianti (Siena). 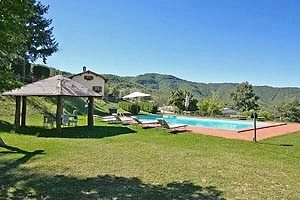 Sleeps 16, swimming pool, barbecue, Internet connection. 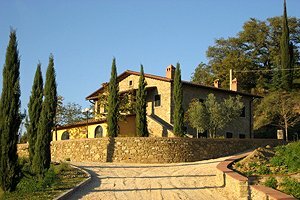 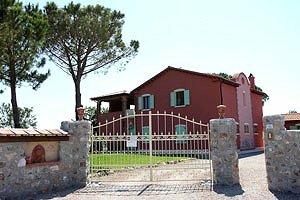 Possibility of organising Tuscan dinners at the property. 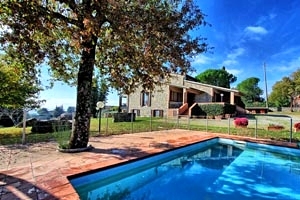 Villa with swimming pool in the countryside around Empoli, in the neighbourhood of Montespertoli (Empoli). 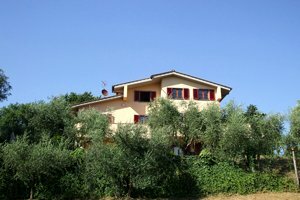 Sleeps 8, air conditioning, satellite TV. 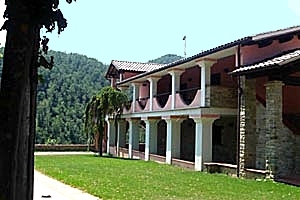 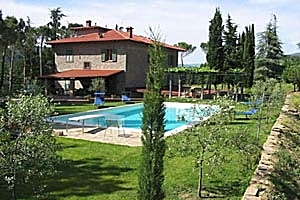 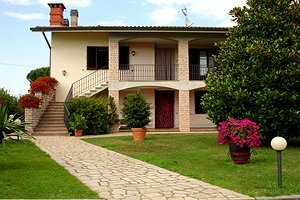 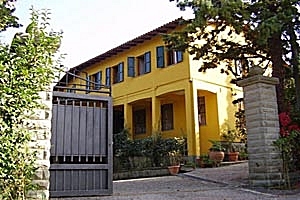 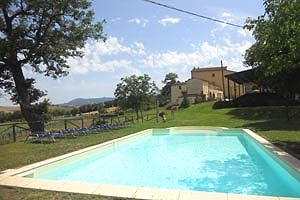 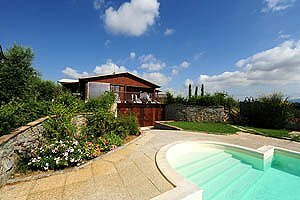 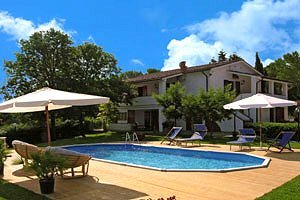 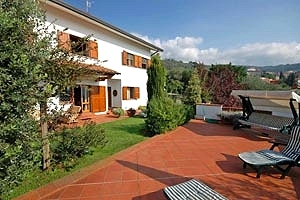 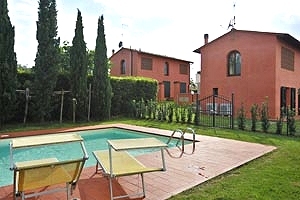 Independent house with swimming pool in Monte San Savino, in Valdichiana (Arezzo). 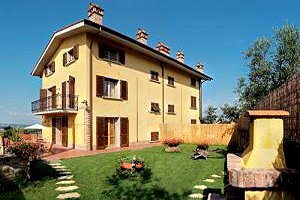 6+2 sleeping accommodations. 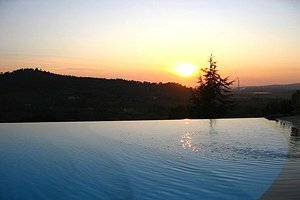 Swimming pool, panoramic position, hydromassage. 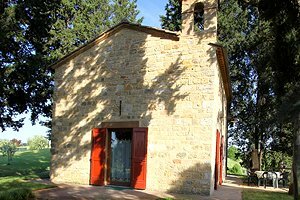 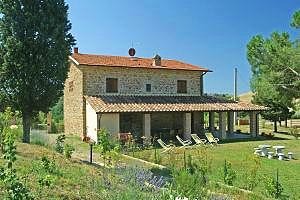 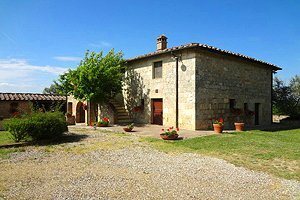 Farmhouse dating back to the late 19th century situated in panoramic position on the hills of Valdichiana, in Foiano della Chiana (Arezzo). 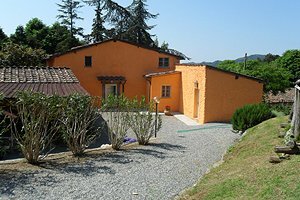 Sleeps 9, swimming pool, Internet connection, air conditioning, children`s playground. 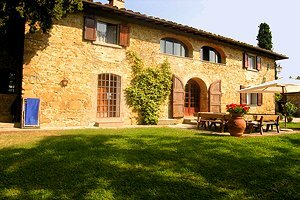 Ancient farmhouse near Tavarnelle Val di Pesa, just a few kilometres from Florence historic centre and the Chianti region. 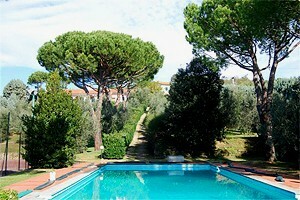 Sleeps 8, swimming pool, barbecue, wide garden. 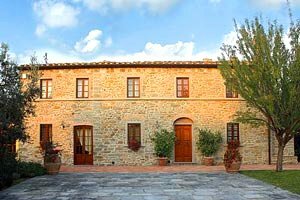 Ancient barn renovated and converted into a cosy country house situated at the doors of the Chianti region, near Tavarnelle and Montespertoli (Florence). 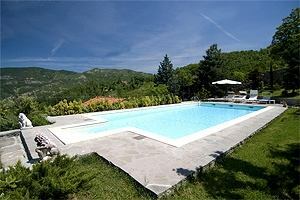 Sleeps 8, swimming pool, barbecue, wood-burning oven. 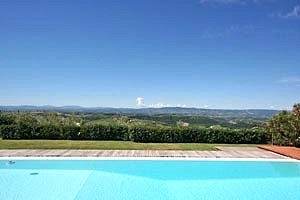 Beautiful country house in a quiet and panoramic location on the hills of Chianti, near Certaldo and Montespertoli and a few kilometres from Florence. 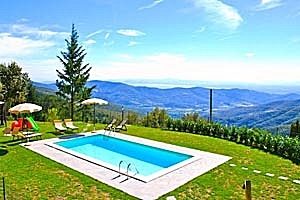 Sleeps 8, swimming pool, Internet connection, hydromassage. 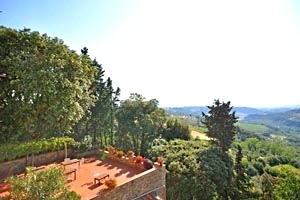 Extensive views up to the towers of San Gimignano. 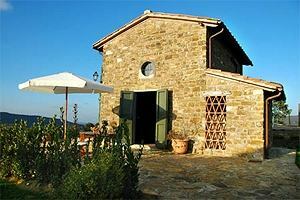 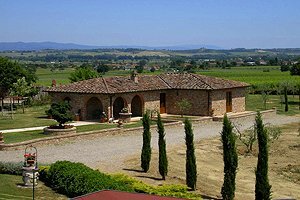 Traditional Tuscan farmhouse in the heart of Chianti Classico, a few kilometres from Siena. 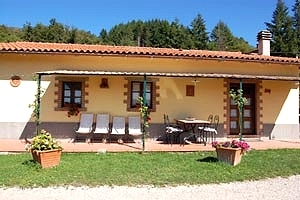 Sleeps 16, swimming pool, wide garden, air conditioning, Internet connection. 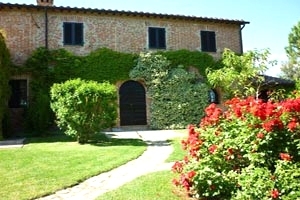 Possibility of organising wine tasting events and buying the produce of the farm. 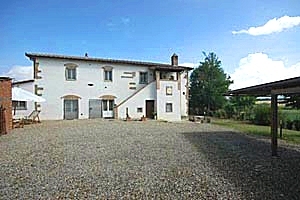 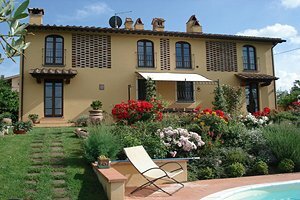 Beautiful independent farmhouse in Montelupo Fiorentino, in the countryside between Florence and Empoli. 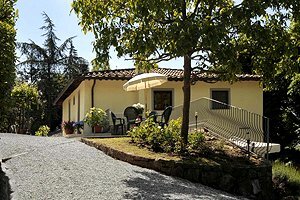 Sleeps 18, swimming pool, Internet connection. 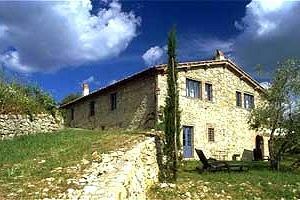 Possibility of renting some mountain bikes and organising guided tours of the farm cellars and tasting events. 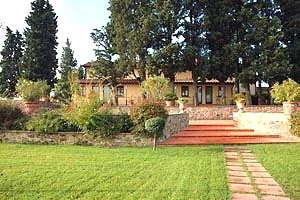 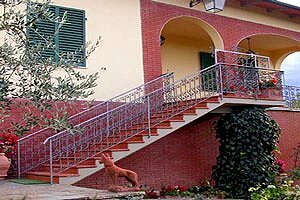 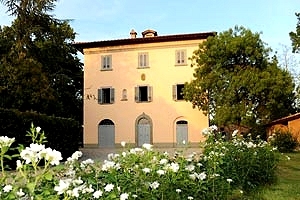 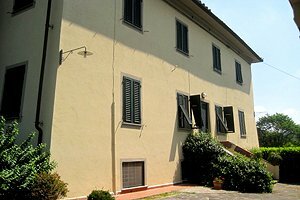 Comfortable portion of a country house near Montespertoli (Florence), in Empoli countryside. 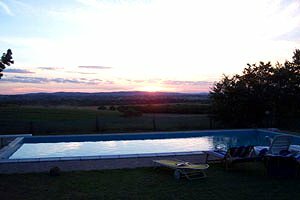 Sleeps 6, swimming pool, Internet connection, barbecue. 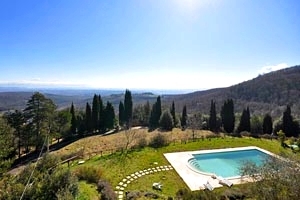 Just a few kilometres from the Chianti Classico region. 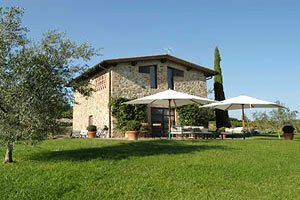 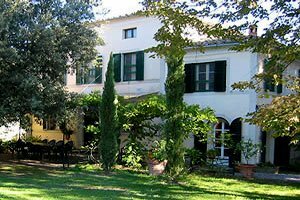 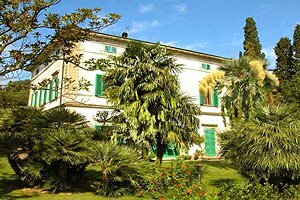 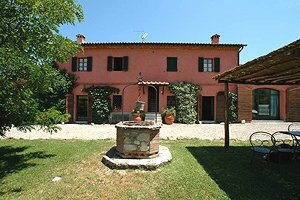 Beautiful country house at the border between Tuscany and Umbria, just a few kilometres from Montepulciano (Siena) and Lake Trasimeno. 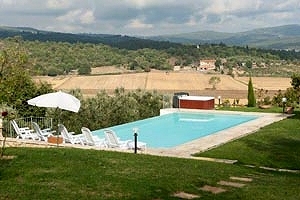 Sleeps 10, swimming pool, wood-burning oven, Internet connection, air conditioning, table-tennis table. 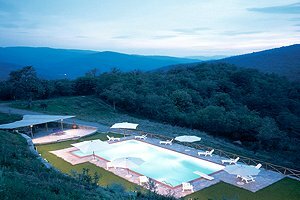 Thermal baths within a few kilometres. 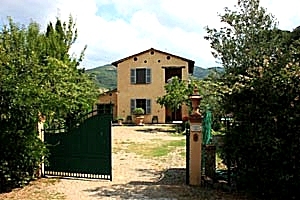 Elegant farmhouse on the hills around Monte San Savino (Arezzo), in Valdichiana. 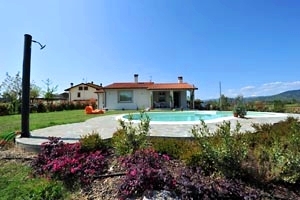 Sleeps 10, swimming pool, Internet connection, wood-burning oven, barbecue. 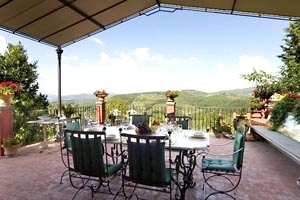 Tuscan cooking lessons are organised upon request. 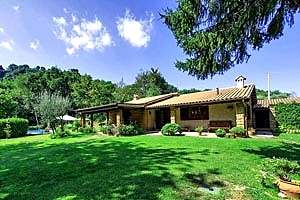 Country house a few kilometres from Orvieto (Terni), in Umbria. 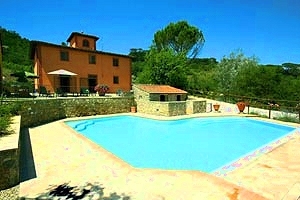 Sleeps 6, swimming pool, fenced garden, Internet connection, barbecue. 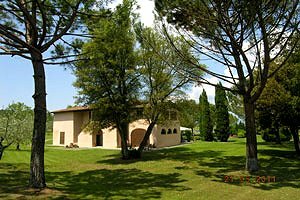 Pond for fishing in the vicinity. 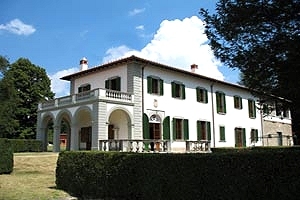 Imposing 18th-century villa on the hills of Lower Valdarno, near San Miniato (Pisa). 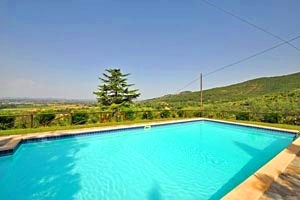 Sleeps 22, two swimming pools, Internet connection, air conditioning. 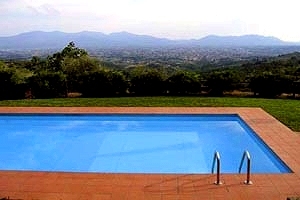 Wonderful views and utmost peace. 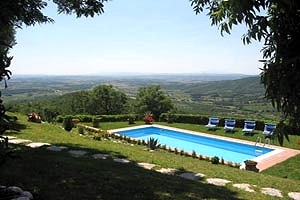 Beautiful villa a few kilometres from the charming town of Gubbio, in Umbria. 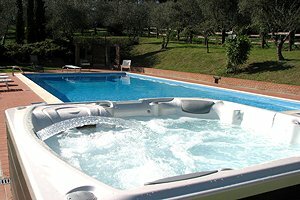 Sleeps 10, swimming pool, indoor and outdoor whirlpool bathtub, barbecue. 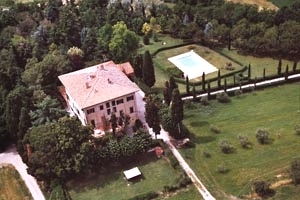 Possibility of purchasing the produce of the estate and fishing in a private lake. 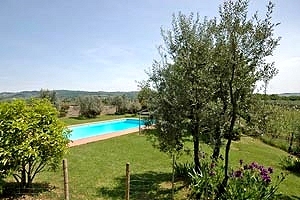 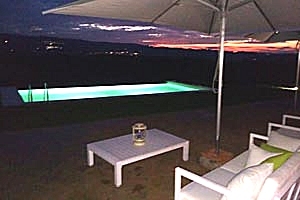 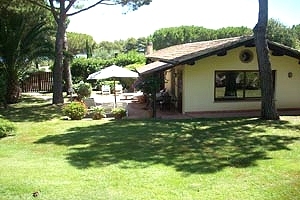 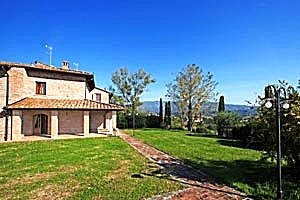 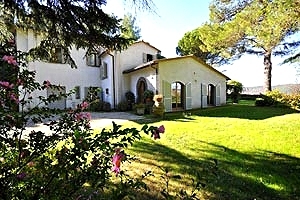 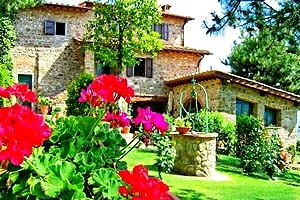 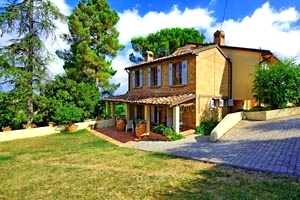 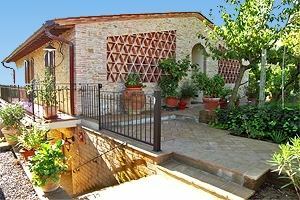 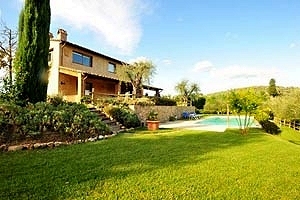 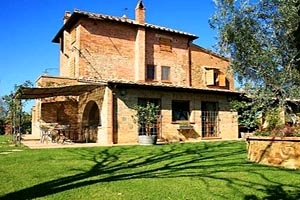 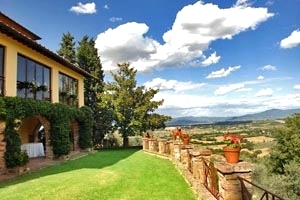 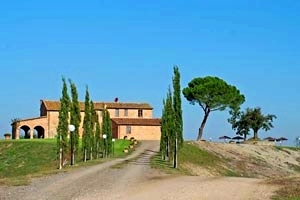 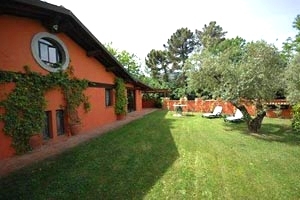 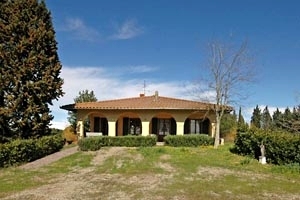 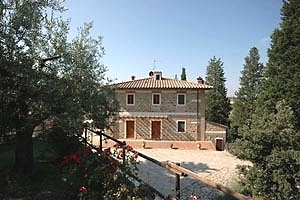 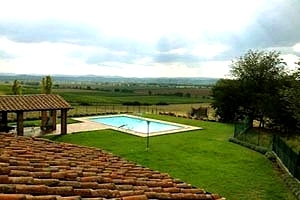 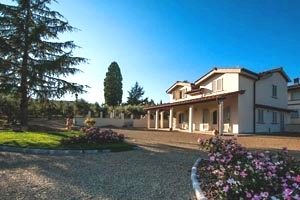 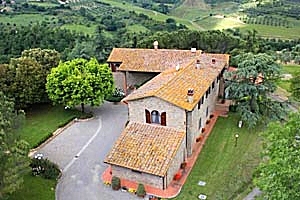 Charming villa in Umbria, near Orvieto, for relaxing holidays in the utmost privacy. 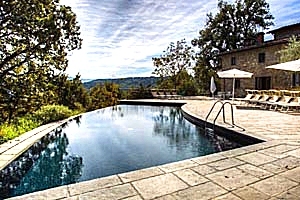 Sleeps 8, swimming pool, Internet connection, barbecue. 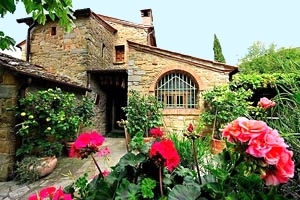 Many important Umbrian and Tuscan cities of art are easily reached by car and by train. 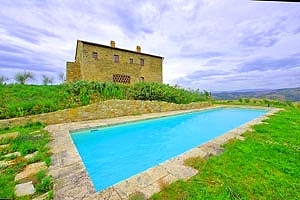 Three apartments in a vast property in Casentino, near Poppi (Arezzo). 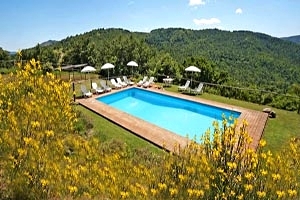 Sleeps 14, panoramic swimming pool, Internet connection, five-a-side-football pitch/tennis court, barbecue and children's playground.